Now that you have your ecommerce website setup and running, how are you going to get people to visit your site? 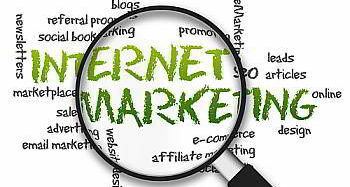 There are many ways to advertise your website using both online and offline methods. The holy grail of website marketing is to get your website to rank number one on Google. When done properly, Google can provide years of free targeted advertising for your business. Google uses complex algorithms to decide how to rank each web page for individual search terms, however their instructions for getting a high ranking couldn't be simpler - create lots of high quality content that is relevant to your search terms. When you create high quality content, people will want to link to it. When people link to your website's content, Google rewards you with a higher ranking. The more people who link to your content, the higher your ranking will be. How do you create high quality content for your ecommerce website? Firstly you need to write detailed product descriptions. Not only will this increase your sales conversions, it will also make Google think that your site has substance. Write about 300-500 word per page minimum, otherwise Google might think your content is thin. Another way to create quality content is to write informative articles relating to your industry. Be the expert in your field and you will create trust with your customers and a better ranking on Google. When you have high quality content on your website, share it. Post a link to your articles on social media sites like Facebook, Twitter and Google+. Participate in online discussions by commenting on blog posts and posting in forums. Submit your site to major online directories. All of these things will result in links to your website and a higher ranking on Google. Try to add new content to your website at least once a week to stay fresh and to keep Google and your customers coming back. Signup for a Facebook, Google+ and Twitter account. Post relevent and compelling information about your business. Get your friends to like your page and comment on your posts. If the information you post is interesting enough, people will share it with friends creating powerful momentum through word of mouth. Once you have lots of people following you on social media sites, tell them about your products and provide a link to your website. If you have built trust with them, they will return the favour by buying your products. Try to provide interesting content at least one or twice a week to keep your auidence engaged and build momentum. Get your customers and followers to subscribe to your weekly or monthly newsletter. Your newsletter can contain featured products and specials as well as information relevant to your industry. Find out what your customers what to know more about and send it to them in a newsletter along with links to your site. The easiest way to start your own newsletter is with a MailChimp account. Mailchimp integrates seemlessly with your ecommerce website. People can subscribe to your newsletter directly from your website's homepage and also when they purchase a product. Mailchimp lets send free emails to 2000+ subscribers. By providing quality information and discounts in your newsletter, you can keep customer's coming back to your website again and again.